Taken the day off to do some jobs one being servicing the van. Thought I would do the airfilter first then fuel filter, then tomorrow underneath to do oil and oil filter. Please tell me that the fuel filter is accessible underneath to change as it looks like I would have to undo a whole lot of pipes and wires to get from above.picture to follow. Fuel filter is underneath all that, removing pollen filter and battery wouldn't do. Your van has ABS - as does my longnose, so it's a little tighter for space - I'd suggest to take the near side headlight and indicator out after marking it up for alignment then change it. It'll speed up the exchange! Thanks for the advice,makes sense will look at doing it that way. Hopefully the weather improves don't fancy it out there at moment torrential hail. Fuel filter is a bugger to do with abs. Yes that does look tight. Headlight out has to be the route to go. 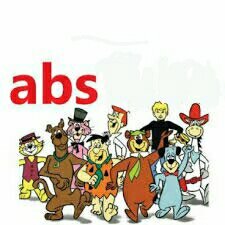 I remember when it was a big thing for a car to have ABS. All sorted now,replaced all belly pan bolts while it was off as all of them were rounded. They came off with Irvine bolt n nut extractors I bought a set when doing the old golf they saved lots of cursing.